The sunrise, or sunset of course, doesn’t care if we watch it or not. It will keep on being beautiful, whether we look at it, recognize it, or not. It follows that there exists in this world an eternal objective principle which we call Beauty, independent of us. Sometimes we recognize it, sometimes we do not; it depends upon our subjective point of view. If the objective is like the sky, the subjective is like a closed window to the sky. The objective is the ever existing absolute principles, or forces; you can call them the archetypes, divinity…whatever you wish to name it. The windows are the many aspects of visible human life: art, science, religion and politics. It is our choice to clean the window or allow it to be hazy, to open or close it. This is where our subjectivity could block the view or make us channels of the eternal principles of Beauty, Truth, Goodness and Justice. The fact that anyone can open the window means that somewhere in each of our hearts, regardless of time, place, color or caste, there is a common human yearning for the eternal skies of goodness. The goal of art and science thus remains the same: to discover the mysteries of life. Any form which creates a channel towards these mysteries would serve its purpose and hence be expressing justice. In other words such a form can be called a classical form. The root of the word ‘classic’ is Latin klass-ik, meaning ‘of the highest rank’, or highest quality. Let us take the example of classical music. 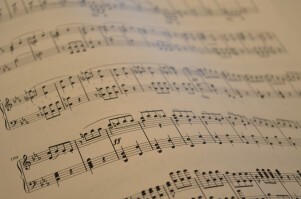 There is a creative discovery embodied in classical compositions, which in addition to the domain of art, deals with fundamental issues confronting mathematics and the physical sciences as well.2 Beethoven, perhaps one of the most celebrated composers in the world created most of his renowned compositions after he became deaf. How? The answer lies in his ingenious sensitivity to the patterns and the mathematics hidden behind the beautiful sounds. Nature itself is full of patterns that can be described mathematically. For example: rainbows, spider webs, honeycombs, markings on animal furs, etc. Our universe is governed by laws of nature which are constant. A classical form, like nature, is also mathematically designed and governed by laws, which create a harmonious co-existence and balance between its various parts. Today we see ourselves and the world, and we can clearly understand how far from nature, harmony and balance we have come. I think the chaos that we see in the world is merely a reflection of an internal disorder. Today in general we face our backs to the windows of eternity, and we are ignorant of them. In our fast-paced lives, where time seems to be slipping away, any form of art which is in fashion becomes popular. What is it that attracts us to any form of music? For some it is the lyrics, for some it is the beat, for many it is the mood at that moment of time. In other words we can call it contemporary art: co-temporary, relating to a temporary, always changing, trend. 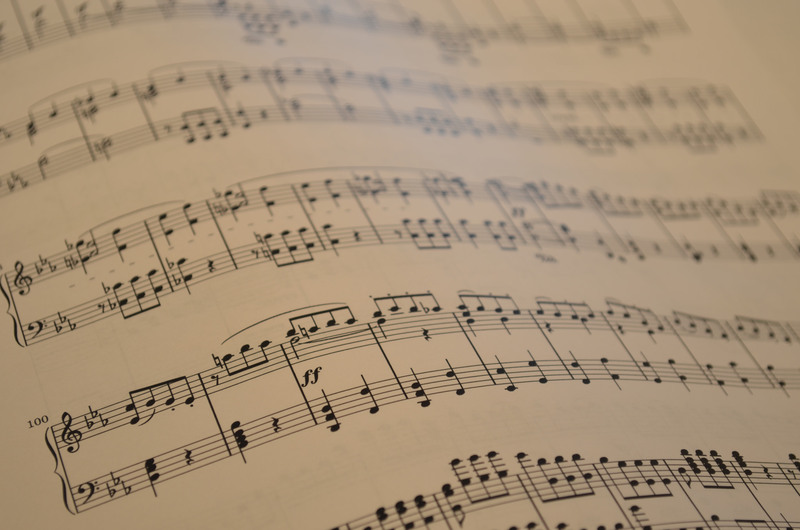 When compared to contemporary music, classical music sustains the test of time. Without generalizing, you might listen to a pop song of today which is a craze, but 300 years down the line, don’t you think the craze will die out? Unlike Beethoven’s compositions, still appreciated at concerts around the world. Another major difference is that classical compositions are able to sustain our attention, even if the duration is several hours, unlike contemporary pieces which last for a few minutes. Thus as per my understanding the mathematical laws behind classical art, similar to that of nature, have enabled the form to transmit the sense of timelessness. Like nature it effectively creates a channel for the archetypes to express themselves in the world. Thus to nurture this tradition of classical art is of grave importance today, and that too in an exact manner. This is our link to return to the essential, and the closest a human being has gotten until now in manifesting the eternal essence. But in executing this art form, there is another important element involved: the consciousness of the artist himself. 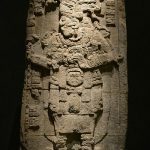 When an individual begins to study a classical form of art, it becomes a voyage towards perfection, where on one hand he tries to master the technique of the art form in an exact way, as was handed down to him, without subjective improvisations. On the other hand, the artist himself does not remain the same before and after and hence, if sincere, he will be transformed. While exploring and mastering the harmonious whole of the classical form the artist also strives to explore the human within himself in order to bring about a harmony between his various inner voices. It becomes a process of expanding one’s consciousness, as one constantly pushes one’s limits. The whole process is a journey not just of pleasure of the senses, but for the discovery of the eternal laws of life encoded in the classical art form. In doing so, it becomes a spiritual journey for the artist himself. The artist’s consciousness reaches beyond his subjective perspective, and he rediscovers the existence of a strong objective self, his true spiritual identity. His identification resonates with the objective archetype of Beauty which is expressed in the classical form, and hence the artist will become a channel for it. One has to practice with perseverance on this path, maintain rhythm, and put one’s ego aside. Every challenge overcome by the artist will be a discovery of inner strength. Every step towards cleaning the subjective window and opening that channel, will reveal a new ray of light which was always there waiting to enter. Only when he forgets himself in the art will an artist truly find himself. Classicism in art is thus an attitude of perfecting forms, enriching both the performer and the audience. Such an attitude of striving to discover the eternal divinity through action could be called a classical way of living, an ethical life. It is that way of human life wherein each individual directs his limited resources in space and time in order to nurture, shape, and explore the possibility to create channels in order to allow the secrets of eternity into his room of existence. Keeping this as the centre of his life, never diverting from this direction, when a man conducts every aspect of his life, he is living his life in a classical manner. This attitude will make an individual noble and hence the society ethical in its true sense. What mathematics can learn from classical music: Volume III. No. 4. Winter 1994. Maglione, Fransisca Silvia. Effect of classical music on the brain. http://www.classicalforums.com/articles/Music_Brain.html Classical Music Forum, 2006. Study shows that music can help plants grow faster. http://www.medindia.net/news/study-proves-that-music-can-help-plants-to-grow-faster-25678-1.htm. 2007. Bernstein, Leonard. Young People's Concert - Musical Atoms: A Study of Interval. www.leonardbernstein.com/ypc_script_musical_atoms.htm What mathematics can learn from classical music: Volume III. No. 4. Winter 1994. Maglione, Fransisca Silvia. Effect of classical music on the brain. www.classicalforums.com/articles/Music_Brain.html Classical Music Forum, 2006. Study shows that music can help plants grow faster. www.medindia.net/news/study-proves-that-music-can-help-plants-to-grow-faster-25678-1.htm. 2007. On the face of it this article is good. But it is more like a chain of opinions than a piece of academic/intellectual substance with enough grounding. I would like to cite one example for this: ” Nature itself is full of patterns that can be described mathematically. For example: rainbows, spider webs, honeycombs, markings on animal furs, etc. Our universe is governed by laws of nature which are constant. A classical form, like nature, is also mathematically designed and governed by laws, which create a harmonious co-existence and balance between its various parts.” I do not disagree with the mathematical description of patterns which is widely approved with a scientific basis. But the comment that follows the patterns says that “our universe is governed by laws of nature which are constant”. The laws of nature? Which ones the author was referring to and terming as constant and in which terms they are constant?? Am raising this question because the author in the following paragraph applied the same view to classical forms. Any effort to explain and sustain these views will be appreciated.